The Mirren-RSW New Business Tools 2018 Annual Report is an essential resource for agency executives. With clients demanding more for less, agencies need new business tools that fuel their growth strategies. Tools and technology that provide direct impact and play a vital role in an agency’s new business efforts continue to be in demand. 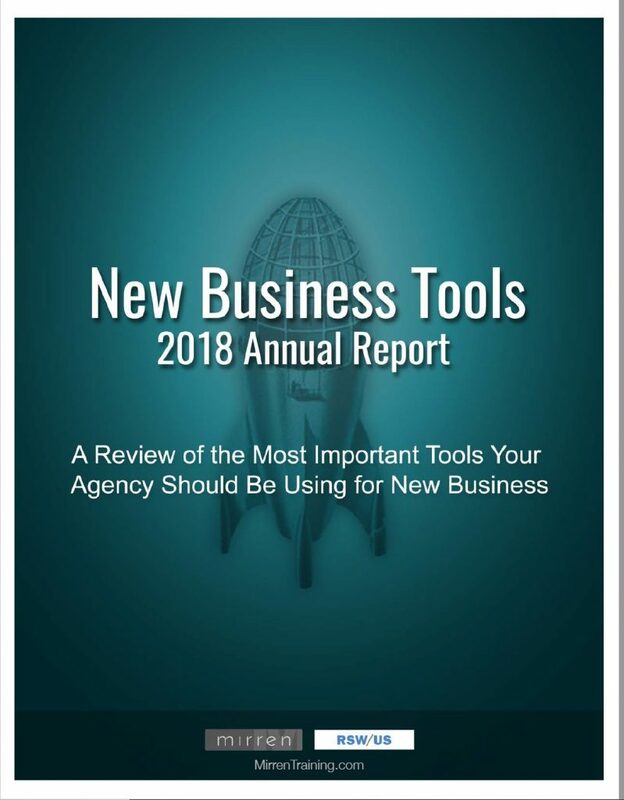 In its sixth year, the New Business Tools 2018 Annual Report summarizes the findings from a little over 300 U.S. agency executives on the use and effectiveness of tools across a wide range of categories. The categories which are most critical to an agency’s new business function, based upon usage rate and effectiveness findings from previous reports, are included. The New Business Tools Report includes practical insights for our readers. This includes best practices on customizing or ”hacking” new business tools to make them more effective.